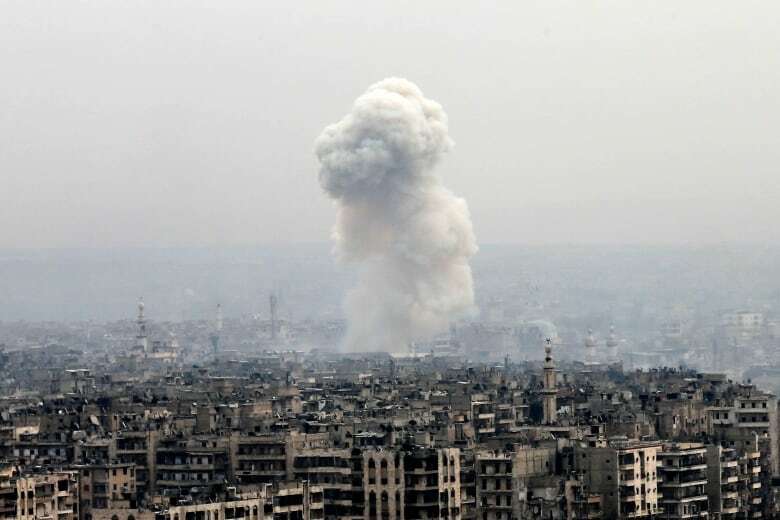 Jan Egeland says that in his 30 years of experience, he has never seen more difficult negotiations than those between Syria's government and its rebels. On Tuesday, Russia's ambassador to the United Nations said that the fighting would stop in eastern Aleppo. 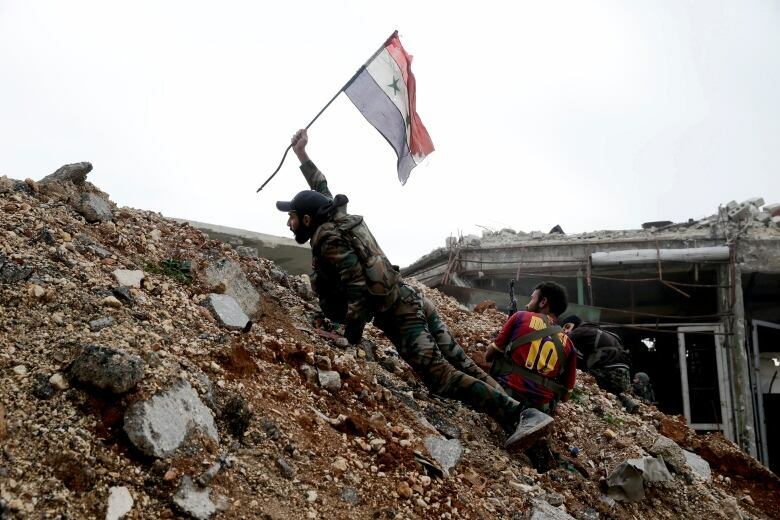 The Syrian regime appears to be close to recapturing the city from rebel control. Hundreds of civilians have been killed since the weekend. The UN received reports that civilians were being shot by government forces in the streets and in their homes. Russia and rebel groups have reportedly come to a deal, which includes an evacuation order for rebel groups still in east Aleppo. Jan Egeland, the Special Adviser to the UN Special Envoy for Syria, spoke to As It Happens host Carol Off from Oslo, Norway on Tuesday. He explained what this deal could mean for Syria's ongoing civil war. Here's an except from their conversation. 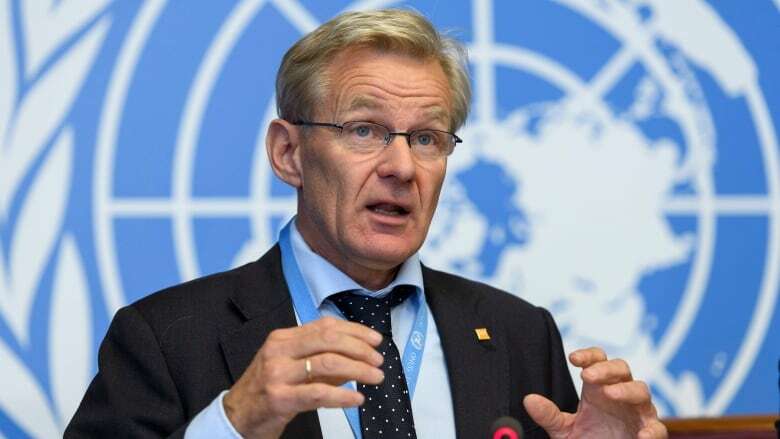 Jan Egeland: We had a lot of very, very concerning reports coming in the last 24 hours … The reports were of atrocities, of people being killed, of people being detained arbitrarily, and also of fighting so fierce that people could not escape. But there have also been good evacuations where we have been able to participate, from the UN and Red Cross, Red Crescent, and those people have been able to be escorted to safety. But I must confess: It has been the worst negotiations I've been party to in my more than 30 years as a humanitarian leader. These parties have not been able to agree on anything, and there has always been one party that has not agreed to our terms for a pause, for safe passage, for real humanitarian corridors and for real protection guarantees for the civilians. Let us hope it now will change, not only in east Aleppo, but elsewhere in Syria. Carol Off: I know you have been involved in many negotiations in these three decades, and so if you're saying this is the worst, that's bad. What do you mean by "the worst"? What does that actually translate to on the ground? JE: It is really the bitterness of this war, that there is zero trust among the parties. And we also seldom have a party that is willing to compromise to the benefit of the civilians, both on their side and on the opposing side. We need agreement with the Syrian government, military and civilian, political. We need it with the Russian Federation. We need it with the various armed opposition group coalitions, and we need it with the opposition-side institutions. It only takes one of them to paralyze our operations, whereas we need all of them to agree on the same terms at the same time for such a difficult and dangerous evacuation or relief convoy to cross the battle lines. CO: Can you tell us which has been the most obstreperous? JE: That depends on the time. Of late, of course, the victorious side, the government of Syria forces with allied militias and the Russian side, have not been willing or able to give us the pause that we have asked for. At the earlier times when we had a ceasefire, a cessation of hostilities, there has been surprising unwillingness to just accept an evacuation without conditions by the opposition armed actors. This is the story of men with guns and men with power, caring very little for the civilian population in their own country. CO: The Syrian army and its allies have made it clear they're not looking for a truce or an end to hostilities. They're looking for a victory. So how difficult is it for you to actually help civilians in a situation where they would like to have that kind of military accomplishment? JE: The belief in a military victory has also been among the worst things to deal with in these six years of conflict. The belief there is a military solution, where there is none to find on the battlefield, is tremendously difficult for us who are civilian, unarmed humanitarian workers in the middle of all this. I feel like screaming many times: There is no military victory. You just move one battlefront to a new place. There are only political and negotiated solutions to this war. CO: We have spoken to residents in east Aleppo who have said that you have failed them, we all have failed them. That this is a crisis that the world could have done something about, the UN could have done something about. What do you say to those people? JE: Well, I agree that the UN member states – Russia, Iran and the Western powers – have a responsibility for not being able to bring this war to a political settlement a long time ago. So, yes, I think they have a right to be very, very bitter on the lack of international conflict resolution ability here. But I would say that, if there's one side you should not blame in this war, it is the courageous field humanitarians who get up every morning to try to struggle for the civilian population in these areas. I would really blame the parties to this war first, and the international sponsors of this war second. CO: You mentioned the players, the people on the ground. UN spokesperson Jens Laerke, he's there, he said it looks like "a complete meltdown of humanity." The Red Cross is there, saying that people have to be protected before it's too late. The Syrian Observatory for Human Rights is describing corpses on the streets and residents too terrified to bury them, and says there's a real massacre about to take place. What is going to happen, before the ceasefire actually is able to help anyone, if it is able to help anyone? What is likely to occur in east Aleppo? JE: Well, a lot of bad things have happened. Horrific things have now happened over years in east Aleppo. I visited the area as early as February 2013, when enormous ballistic Scud missiles were hitting densely populated apartment blocks one by one in Aleppo, and it's gotten worse since that time every single month. Now, there is only a very small corner, for the first time, of Aleppo city where there is actually fighting. I'm more nervous now for protection for the civilians here. We are concerned that people may be arrested, that ex-fighters may not be given amnesty as has been promised. And that's why it's so important that those who are remaining in this besieged area through this announced ceasefire can be able to go freely to opposition-controlled areas if they fear consequences of staying in government-controlled areas. This interview has been edited for length and clarity. 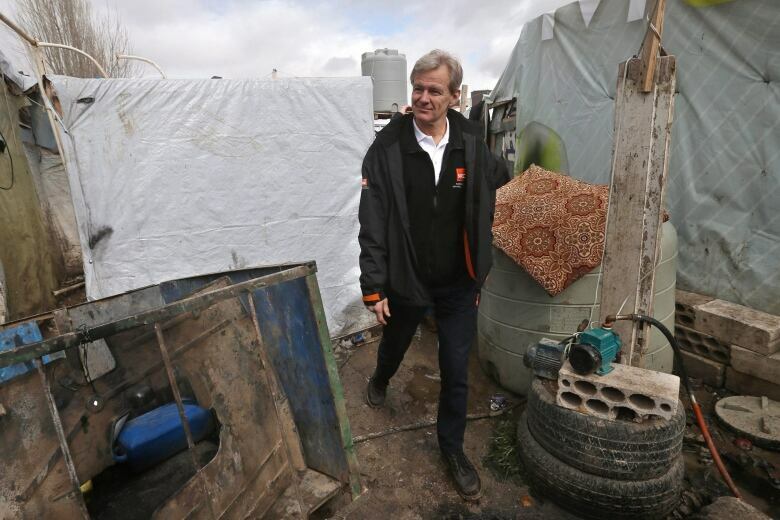 For more on this story, listen to our full interview with Jan Egeland.